If you’ve set up a blog for your internet business, your blog would rarely thrive if you’re not getting organic traffic from search engines. Granted, you may have thousands of social media followers who follow your link each time you publish a new blog post. And you may have lots of referral visits each time you post an excerpt of your latest article on Nairaland (which, to me is a questionable strategy). 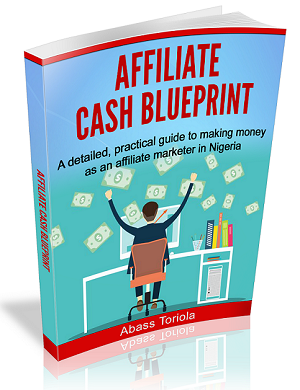 But these strategies won’t bring a steady flow of traffic. 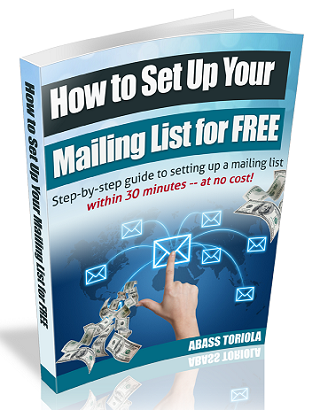 You’ll only get a traffic surge each time you publish a new post. And the traffic would dwindle down to unit numbers until you publish a new post again. However, if you publish new and intriguing posts every day (for example, if you’re in the entertainment niche), you can attract steady traffic from social media, because people will follow each new link — provided the headline is catchy enough. But if you’re blogging in other niches, or you’re unable to publish new posts daily, then you won’t be able to attract appreciable traffic consistently — except you rank in Google for your target keywords. Only by implementing proven SEO tactics (we’ll be discussing this in detail in the next post) can you have your blog’s pages ranking high in Google and attracting lots of visits consistently — even if you don’t publish new posts regularly. So, leveraging the power of Google is a surefire way to drive traffic to your blog. Now, look at the picture below. It is a snapshot of the Google Analytics traffic report for one of my blogs (not Web Income Plus, but I won’t disclose the details of the blog – for certain reasons). 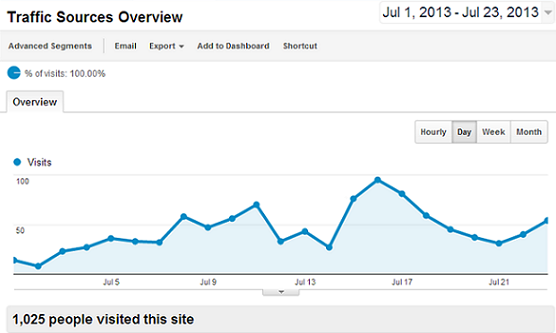 The chart shows the number of visits to the blog recorded daily between July 1 and July 23, 2013. Within the period, the blog attracted 1,025 visits. Here’s an account of the number of visits on selected days within the period (as gotten from the report). But could you believe that the last time I published a post on the blog was April 29, 2013? Yet, I could still get 1,025 visits between July 1 and July 23. It’s interesting, right? Granted, the number of daily visits isn’t steady. But the fact is, I never made any effort to attract these visits, except that I published the posts in the first place. And it may even interest you that the blog was set up on early April 10, 2013, and it presently has just 12 posts — most of which are less than 200 words long. 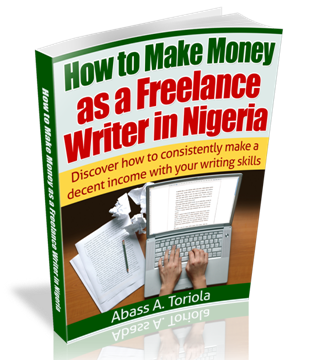 The blog is targeted at a Nigerian audience. So, almost all the visitors to the blog are in Nigeria. Below is another snapshot showing the traffic sources for the blog. That is, an account of where the 1,025 visits came from. The report reveals that 68.2% of the visits (699 visits) came from search engines (Google), 7.2% (74 visits) came as referral visits from another blog I own, and the remaining 24.6% (252 visits) were direct visits (I’m still wondering why some people keep visiting the blog even when I’ve not updated it in a long time). So, Google has sent about 700 visitors to my blog this month (even though abandoned it for almost 2 months). I guess you’re now wondering how I managed to achieve this. Well, the answer is simple: keyword research. I simply figured out the keywords that people (Nigerians) were using to search Google for the information I share on the blog. Then I optimized my post for these keywords. After some weeks, the posts showed up on Google’s front page for the keywords I optimized them for. And that was how the traffic kept coming. If a 3-month old blog could start attracting thousands of monthly visits with just 12 posts, you can guess what would happen when I publish up to 70 posts. 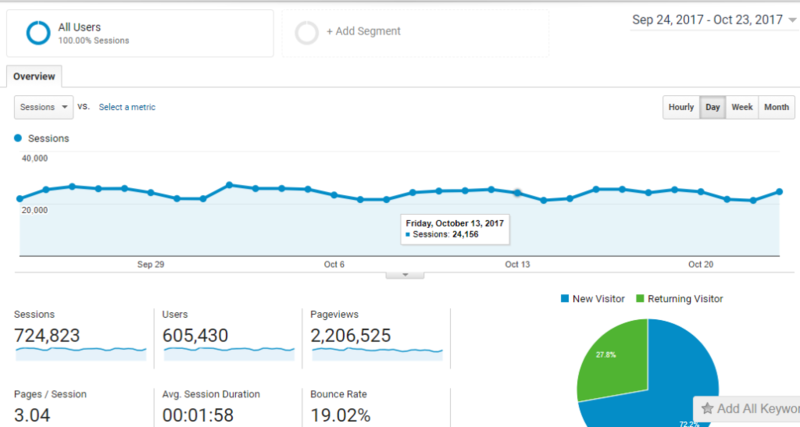 UPDATE (October 24, 2017): The blog now attracts over 20,000 visits daily and generates around $1,500 monthly from Google Adsense. Below is the screenshot of traffic reports over the last 30 days. Now, let me teach you how to find keywords that will drive traffic to your blog even when you’re not publishing new posts frequently. Click “Skip the guided setup”. Enter your email and click “Save and continue”. On the next page, you’ll be required to sign into your email. Sign into your email by entering your email (then click “Next”) and password (then click “Next”). You’ll be taken to the Campaign Management page. Look at the top bar on the page and click “Tools” (last item on the menu, by the right). A dropdown menu will appear. And that’s it! You just learned how to sign up for Google Keyword Planner. Each time you want to use the tool subsequently, just visit the Google Keyword Planner’s direct URL (https://adwords.google.com/ko/KeywordPlanner/Home). NOTE: Save the URL for easy reference. Now, I’ll give you a practical walk-through of the keyword research process. Let’s assume: After brainstorming for ideas, I decided to set up a blog that features smartphone reviews and promotes phones to Nigerians. So my niche would be “phones in Nigeria” or something like that. I made this choice because phones are among the best-selling products in the country at the moment. So, on the surface it looks like a smart choice. But before proceeding to set up the blog, it’s important that I do keyword research. Now, follow me as I go through that. My first step is to figure out the best keyword to use as my primary keyword. So, I start by opening the Google Keyword Planner (https://adwords.google.com/ko/KeywordPlanner/Home). In the “Your product or service” field, I enter my niche phrase (phones in Nigeria). I don’t have to fill anything in the remaining two fields (“Your landing page” and “Your product category”). Then I move down to the “Targeting” section. I click the location tab (default setting is “All locations”). In the field labeled “Enter a location to target”, I enter “Nigeria” because I want results from only Nigeria — since I’m targeting Nigerians. After entering “Nigeria”, another menu shows a list of locations that contain the name “Nigeria”. I select “Nigeria – country” because my aim is to target the whole of the country called Nigeria. I then click “Save”. By now, the location tab should be showing “Nigeria”, not “All locations” anymore. In the field shown, I’m supposed to enter any specific words or terms that must be included in all the keywords to be pulled out. Of course, I don’t want irrelevant results. So, I enter “phone” and “phones” in the field, separating each word with a comma. My aim here is to narrow the results down to only keywords that include any of the two words. Now, with all these, I’ve practically instructed the Keyword Planner to fetch me phrases that Nigerians are using to search Google for information related to phones as well as the frequency at which each phrase is used monthly. Now, looking at the list of keywords, I’m only concerned with the keyword and average monthly searches. I have no business with competition and suggested bid. You’ll see that the average monthly searches only show a range of figures. 100-1k means the keyword is searched between 100 and 1,000 times monthly. That’s a wide range, but it still gives me a rough idea of how much potential traffic a keyword can generate. After the reshuffle, the keywords have been rearranged, and the most searched ones are now at the top. 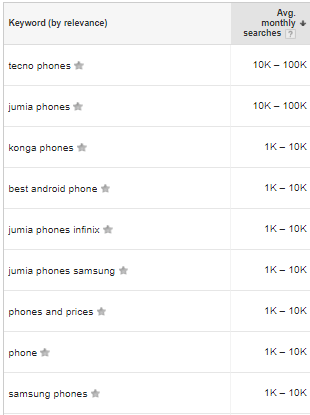 The first two keywords on the list “Tecno phones” and “Jumia phones” each has between 10,000 and 100,000 monthly searches, while the next and others on the screenshot have between 1,000 and 10,000 monthly searches. Note that the list is longer that what is covered in the screenshot. From this result, I can deduce correctly that Tecno phones are more popular (and more in-demand) than samsung phones. I can also deduce correctly that Nigerian prefer buying Tecno phones on Jumia to buying them on Konga. In fact, I can go on and on with deductions. 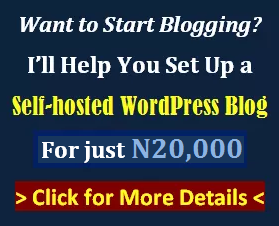 So, if you’re starting a blog about phones in Nigeria, you should write detailed posts around each of the keywords you find that attract decent monthly search figures. That is, you should optimize your blog posts for these keywords. If you do, chances are high that you’ll rank for them quickly, and you’ll generate lots of traffic from Google in months to come. PS: You’ll need a very good internet connection to use the Google Keyword Planner.